Doesn't time fly when you are enjoying yourself, yes once again summer cruise time is here. Last year we asked one of PBO'S resident experts Mike Coates to put pen to paper, the feedback was excellent so I make no apologies about resending the article however we have taken the opportunity to add some extra snippets. It’s that time of year when you may be thinking of or have already started to get ready for your summer cruise, here are a few tips that may help you have a trouble free and enjoyable cruise. Have you checked your rig recently? 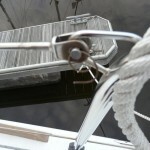 Make sure all split pins are secure in the clevis pins and have been taped over to prevent snagging on boots or worse still slicing into your bare ankle; go aloft in a bosun’s chair; if you don’t have one consider purchasing one before you leave, you may need to climb the mast sometime during your cruise and it's not always possible to borrow one! 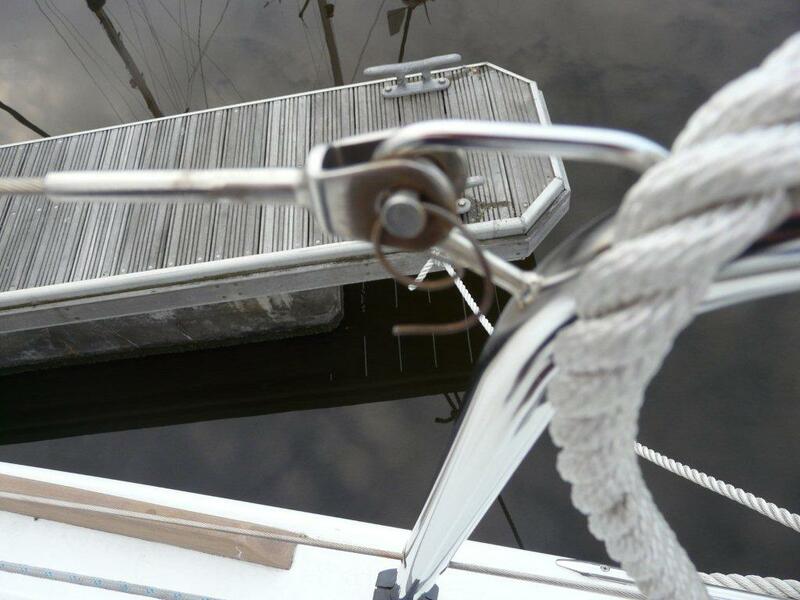 Make sure you go up on two halyards that are in sound condition and don’t use snap shackles to secure the chair to the halyards, use a standard screw pin shackle through the spliced eye in the halyard. Check all split pins aloft together with tangs, T terminals, backing plates, spreader roots etc for security. Rig tensions should be checked with a tension meter. 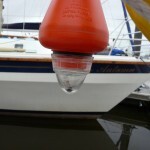 This is even more necessary if you have recently re-rigged and not re-tensioned. The wire will have bedded in and stretched causing a reduction in rig tension. 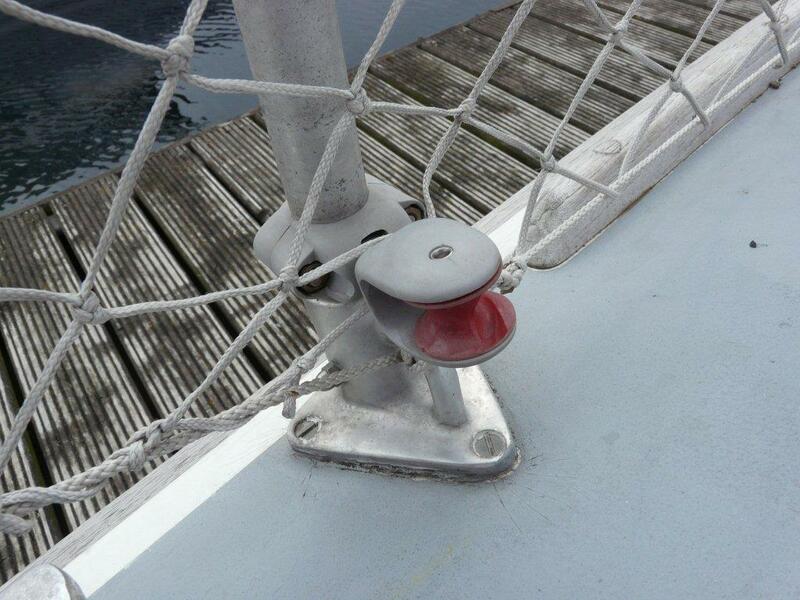 Make sure all running rigging is free of chafe or damage, replacing any defective lines before they break. Consider replacing spiked wire/rope halyards with one of the modern low stretch materials such as Dyneema, Spectra etc. 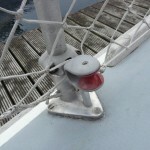 All navigation lights should be checked to make sure they are in working order, it’s far easier to change them while in port that up a mast while at sea: carry spare bulbs for each type of lantern. 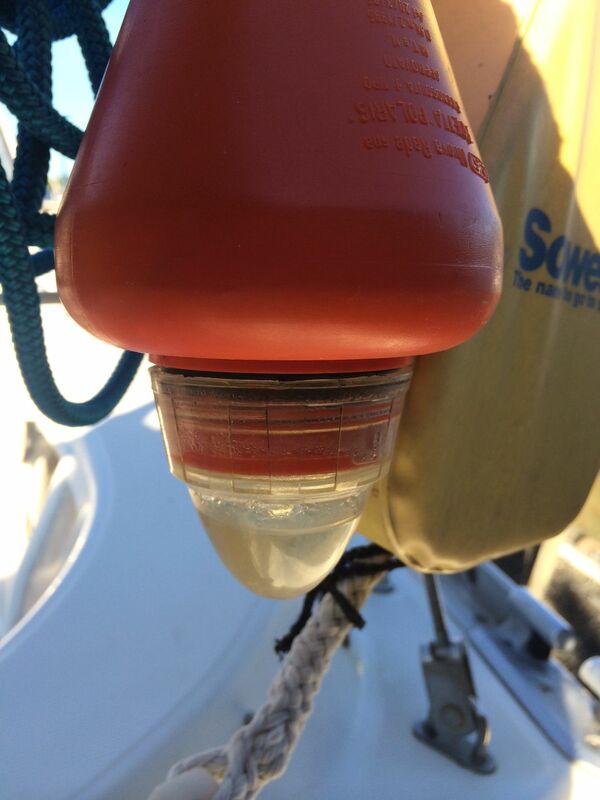 Ensure spinnaker pole piston fittings are free and well lubricated, if you use a full batten mainsail system it’s worth while spraying the track, batten and intermediate slides with a PTFE type dry lubricant which will make hoisting easier. If you didn’t do it pre-season, make sure the water in your tanks is drinkable. If necessary flush out with a proprietary tank cleaner to remove any nasties that may be lurking, which could result in an upset stomach for you and your crew, and make sure you change your water filter if fitted. Carrying a pack of Aquatabs is always a good idea when filling up elsewhere in case the water you take onboard isn’t very good quality. Its advisable to sample a glassfull before filling your tanks and carry a quantity of fresh bottled water as a back up if you should have any issues with the quality of the water available. 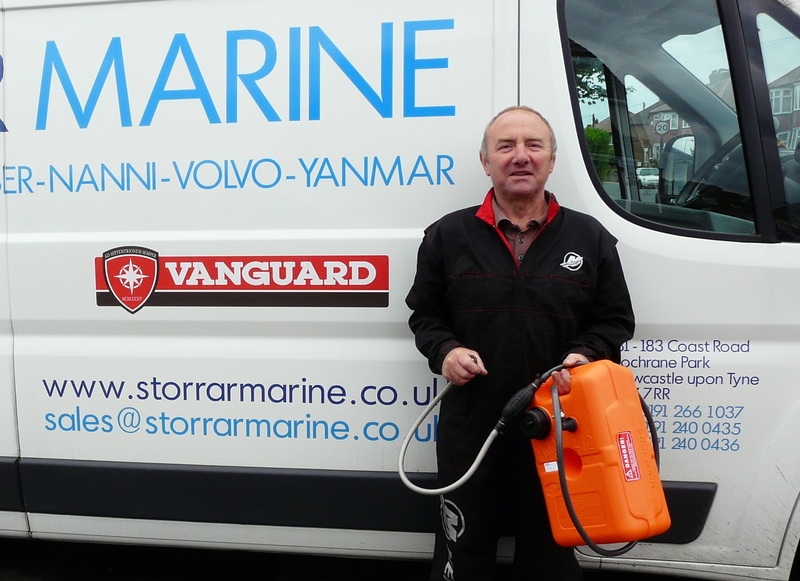 If an electric pump is the only means of drawing water from your tanks consider having an alternative method such as a Whale Flipper; you could be left without means of obtaining water from your tank if you have a pump or electrical failure which could be serious on a 2-3 day crossing. Check your sails before you depart. Its no good remembering a couple of days into your cruise that you didn’t have that small tear in your genoa repaired that’s now developed into a long split! Carry a repair kit, sail repair tape, sail cloth, needles, twine, webbing, sewing palm etc on board. Being able to carry out a temporary repair may save your sail from further damage and prevent you having to curtail your cruise. If haven't already done so pre-season, make sure your engine has been serviced. If cruising abroad, make sure you have sufficient oil and filters to make at least one oil change, it may just get you home if you have either an oil leak or water entering the engine and emulsifying the oil. Dose your fuel with a diesel biocide and carry additional to add to your uptake of fuel together with a couple of sets of fuel filters in the event you develop a fuel bug problem. Tip, if buying diesel abroad try to buy from somewhere that has a good turnover rather than somewhere off the beaten track where fuel may have been standing in storage tanks for some time. Carry spare water impellers and a kit of gasket material so you can make your own; it can be notoriously difficult to obtain even the simplest of spares while abroad. Carry details of you engine parts supplier in the UK, the only way you may be able to obtain spares is to have them shipped from the UK. 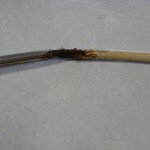 Ensure you have spare electrical fuses of the correct type and amperage. Test your VHF with the Coastguard before you leave, if you have a hand held make sure it’s fully charged and in working order. If cruising offshore consider carrying an emergency VHF aerial in the event of a dismasting. Check your flares are in date. Any that are out of date should be removed and replaced with new as some authorities will fine the skipper a considerable sum of money. Gaining in popularity is the Odeo Mk 3 – LED flare. Benefits include a ‘burn time’ of 5 hours at full illumination, 14 year shelf life with supplied batteries. It can be carried on aircraft with your baggage and its search and rescue aircraft safe and no problems with disposal like traditional pyrotechnics. If you carry an EPIRB or PLB (an essential item if you plan any sea crossings or sailing more than a few miles away from the coast) make sure the batteries are in date and very importantly that you have registered it with the Coastguard EPIRB registry who will hold your details; in the event of an emergency it makes their job much easier to know who or what they are looking for! 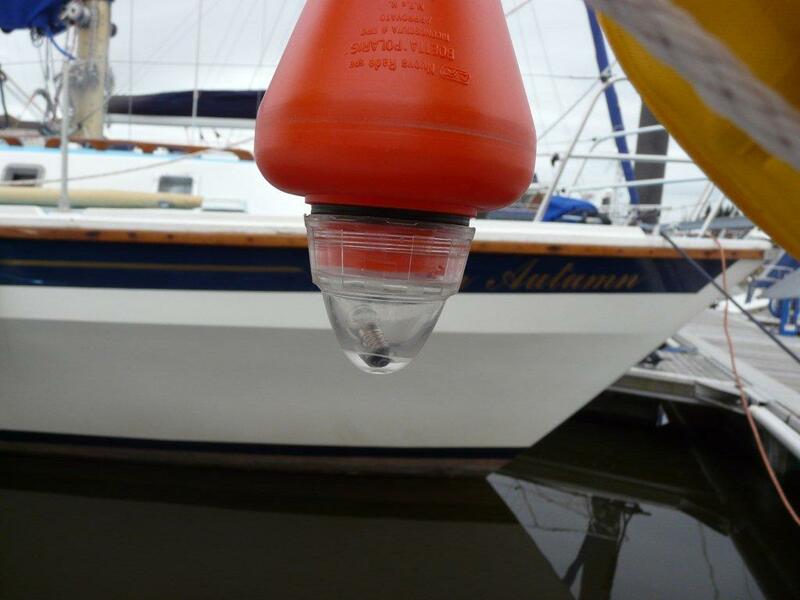 An AIS beacon is worth considering if you are crewing a yacht or powerboat, should you go overboard and are carrying one it enables those on board a vessel with an AIS to quickly and effectively locate you. Check your liferaft to make sure it and any hydrostatic release’s are within their service date. As a minimum, a set of wood plugs for every through hull fitting is essential, preferably attach them to the thru hull fitting etc; it's no good having to go looking for an item to bung up a hole when you're sinking in the middle of the night, however, these days a lot of skippers are investing in a tub of Stay Afloat or, for a blocked valve, Seabung. If you are planning on any night sailing or even have the chance of getting caught in the dark ensure you replace batteries in your Danbuoys and torches; always carry spare sets of batteries on board. Have you serviced/checked over your lifejackets, if not, now is the time to do so. No crutch strap? your jacket is useless without one. Ensure you have more than just one re-arming kit per lifejacket: it's no good if you discharge your lifejacket on the first day of your holiday and render it unusable! Make sure all jackstay lines haven’t been degraded by UV, replace if necessary, check you have harnesses (or lifejacket with harnesses) complete with safety lines for each person on board. Its preferable to always wear a lifejacket and be clipped on at all times and essential at night, never leave the cockpit to go on deck without being ‘clipped on’ and never leave the security of the cockpit at night without telling someone. While the idea is not to fall overboard, it does happen so make sure there is someone who can take charge and know exactly what to do in the event of a man overboard. For the small cost its worthwhile carrying at least one thermal protection appliance (TPA) it can be a lifesaver in helping keeping a wet cold person warm and alive. Ensure you have a good first aid kit and someone who knows how to use it together with one of the approved first aid books which can be an excellent reference manual when in a panic! If cruising offshore where you may be a couple of days away from help, add items such as ‘Steri-strip closures for treating severe/deep cuts, Melolin dressings for treating minor burns and a ‘Sam Splint’ which is an easily storable roll up splint for immobilising fractures. Make sure your GPS, chart plotter etc is working, up date or buy new electronic charts. 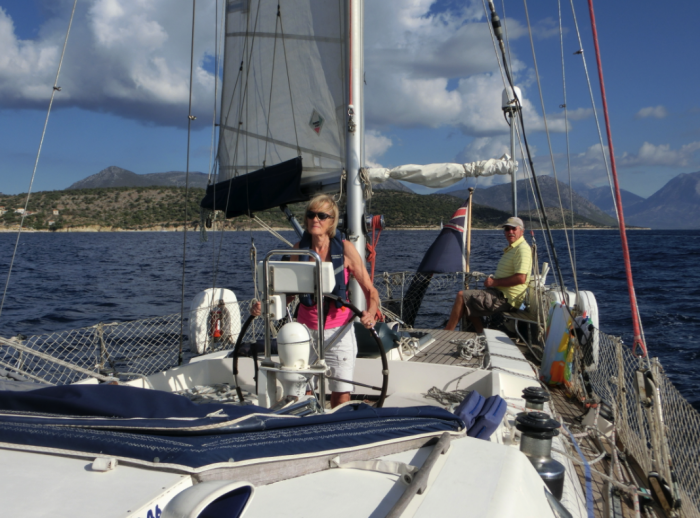 If going abroad make sure you back up your plotter charts with up to date paper charts both for the crossing and your destination. The North Sea has numerous rig movements, it can be quite daunting to suddenly come across a rig or production platform at night or in the fog that isn’t on your old chart and then there are wind farms... enough said! Pilot books for the area you're cruising will both simplify navigation and give details of where you can berth, obtain supplies, fuel etc. Make sure you carry the correct documentation for both yourself and the boat; some countries now demand your insurance policy is available for inspection in their native tongue. Many countries now require a ‘Certificate of Competence’ (ICC) in preference to the Yachtmaster/Yachtmaster Coastal, it’s as well to check with the RYA as to what documentation is requirements for a specific country. Keep all fuel receipts especially if visiting Holland where you may be asked for proof of purchase of red diesel in the UK. Belgium operates a total ban on the use of red diesel, if you are checked and found to have traces of it in your tank you could face a heavy fine. You need to be warm and comfortable while at sea, many a passage has been spoilt by the crew being cold and miserable. Make sure you have a good set of foul weather gear and importantly the correct mid and base layers to wear under them. These days foulies are there to keep the elements out. They no longer give much thermal protection so you need to invest in some form of thermal wear to keep you warm. The North Sea and beyond, even mid season, can be a very cold place, day or night, especially if you get wet. Appropriate boots and deck shoes are a necessity. If your budget allows go for breathable, they are so much warmer and more comfortable. Consider purchasing a couple of pairs of waterproof, breathable Sealskinz Socks if short of funds. Does your wife/partner dread the summer cruise as a result of sea sickness, there’s nothing worse than being debilitated for days while the husband is enjoying his sailing, try one of the electronic ‘Relief Bands’, not the cheapest pieces of kit but something that really works and can save a holiday! My wife who having sailed more than 25,000 miles in the last 15 years for no apparent reason started becoming seasick while on passage, a Relief Band has been a complete cure allowing her to carry on sailing, I’m sure without it she would have packed up. 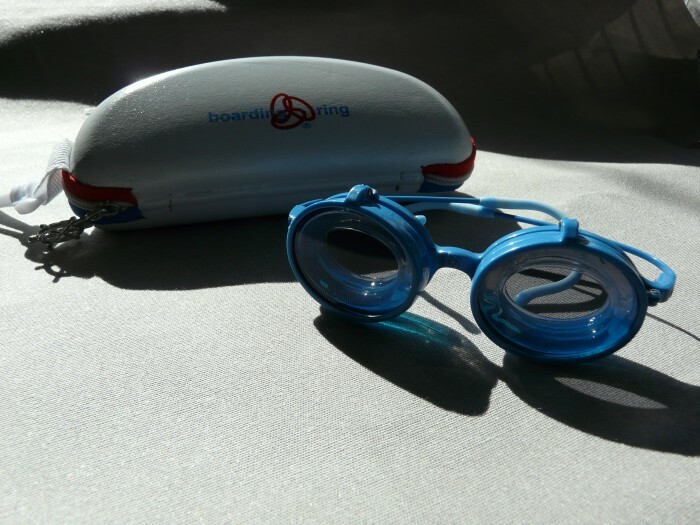 An alternative to the Relief Band and at roughly half the price the Boarding Ring Anti-Motion Sickness Glasses are excellent and available for both adults and children. Before you leave port make sure you tell someone responsible where you are going and when you expect to depart/arrive, make sure you set yourself a realistic ETA, don’t think you can do it in two days when realistically it will take you three. It can cause worry when you haven’t arrived when expected. If you haven’t already done it register a CG66 with the Maritime and Coastguard Agency which can be done online. 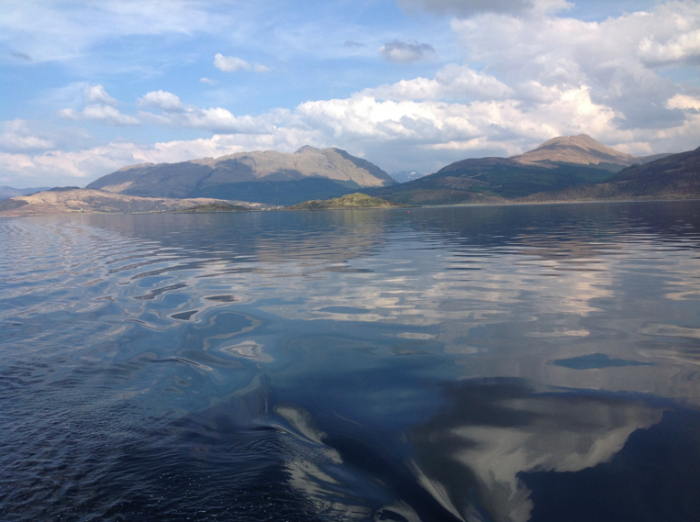 This entry was posted in General Interest, Top Tips Tuesdays, Cruising on June 24, 2014 by Rob Storrar. Jenny, when she retired from teaching a few years ago, decided that apart from looking after me (which is almost a full time activity these days) she wanted to put something back into society. She applied and, after her training and probationary period, now sits as a magistrate half a day a week. Today I came back from work to find that Jenny, who had been in court, had been quizzed by one of the magistrates, a retired police officer, on what was believed to be a drugs raid on our company's premises the other day! Apparently this guy had been across the road at a plumbers merchant and glanced across to see a large police transit van turning into our car park and from it emerged four police dogs; two spaniels, two labradors and their handlers. Well it has been said that both Andy and I sail close to the wind (he's a past championship winner in GP's and many moons ago I occasionally tasted success) however, to the best of my knowledge his recreational relaxation is a nip of Jack Daniels, as for me give me a pint of Real Ale or a G 'n' T. Quizzed by Jenny, I had to explain that the dogs were there to try on the Crewsaver petfloat dog lifejacket. The canine constables are being trained up as body recovery dogs, apparently their sense of smell is so good that when in the river or lake they can 'sniff' a body that is a fair number of metres down! They can of course can swim but this dog lifejacket has an excellent strap and tummy support that makes it easier for the handlers to get them back into the RIB. 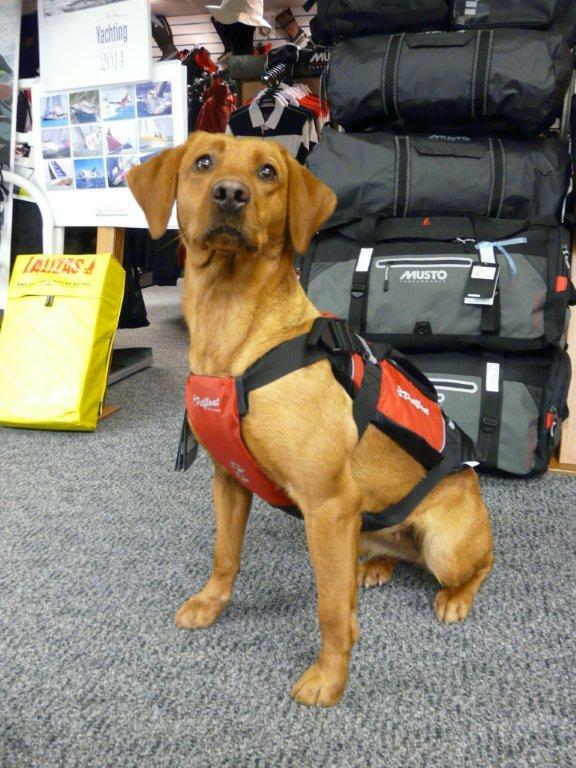 This entry was posted in General Interest, Safety, Products in the spotlight and tagged Dog Lifejacket, Petfloat, Pet Lifejacket, Cat Lifejacket on June 20, 2014 by Rob Storrar. In our chandlery we see commercial fisherman, yotties as well as folk with powerboats and we certainly see some interesting specimens brought in for us to ‘identify’ before purchasing a replacement Jabsco Impeller. As I always say to these guys when buying ‘make sure you keep a spare on board and make sure you keep the part number in your maintenance log book’ It’s common sense to keep a spare. It might save you having to go cap in hand to the RNLI, but what is also worth considering is fitting a PinWing kit to the pump, it makes changing an impeller so much easier in a difficult or confined space as no tools are required to remove the end cap the wing nuts being easily removed by hand. The PinWing kit replaces the set screws with studs which means you are much less likely to drop the end plate or the gasket in the bilge. As part of your maintenance schedule, apart from changing the impeller, its worth keeping a sharp eye on the end plate. Wear on the plate can help to reduce the efficiency of the pump. In an emergency you can always reverse it but remember the ‘part no’ stamped on the plate will soon wear away! Oops almost forgot always buy genuine impellers. What’s that saying ‘buy cheap buy twice’ however it was more that a replacement impeller. It was a lift out/lift in, replacement water pump, replacement gaskets, other consumables plus labour! For today and right up to midnight on Monday the 23rd June 2014 we are offering 10% off Jabsco Impellers and PinWing Kits! 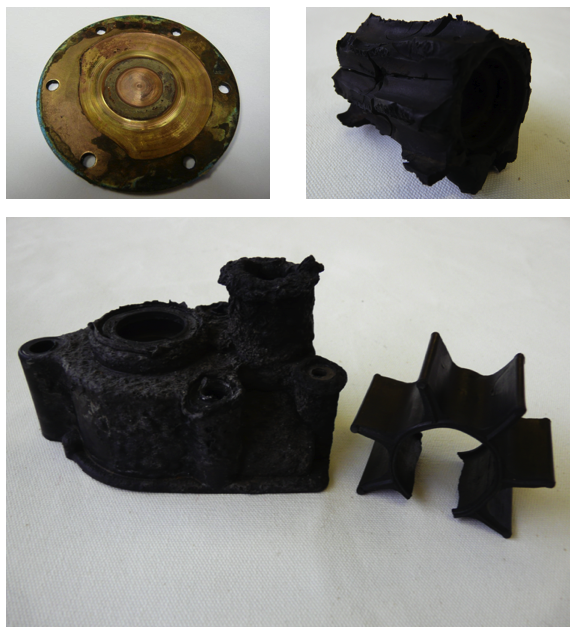 This entry was posted in General Interest, Top Tips Tuesdays, Maintenance and tagged Jabsco, Impellers, PinWing Kits, Water pumps on June 17, 2014 by Rob Storrar. Last Saturday I was asked to crew 'January First', a Beneteau 35.7, which races out of Amble marina. It seemed a ideal opportunity to sail, for once, in blazing hot sunshine (North East this year has not been blessed with too much of the yellow stuff). It also gave me the chance to check out the new genoa we had built for Peter. I arrived at Amble to find a light breeze and yes it was red hot. The start of the race was postponed for an hour which gave me the chance to speak to a couple of customers so time well spent. When we cast off I, made sure I had my sunglasses on my head and for comfort was wearing my Spinlock Lite lifejacket. Once we cleared the harbour entrance we were met by a two metre swell and no wind, and after half an hour the race was abandoned and the pork pies and sausages handed round. For some strange reason I declined even though I am your original trencherman!... Why hadn’t I taken a pair of those excellent Boarding Ring Glasses with me? This entry was posted in General Interest, Tips and Advice, Products in the spotlight, Crew Gear on June 12, 2014 by Rob Storrar. 15. Top Tips Tuesday - Water In Your MOB Light & Other Quick Checks That Could Save Your life! You would be staggered by the number of boats that I work on that, after a cursory glance over, I can often pick up potential life threatening issues like MOB lights that are full of water and don’t work! Split rings that secure guard rail terminations to the pullpit/pushpit that are on their last legs, genoa reefing line lead blocks that are seized etc etc. When boarding your boat for a day’s boating its always worth carrying out a quick check of the deck, five mins max is all you need to set aside. MOB lights of the variety that are sold on a lot of horseshoe and traditional lifebuoys are susceptible to water ingress round the rubber O ring seal. At the start of the season after changing bulbs or batteries it is worth using some Lanocote on the rubber and threads, it makes an excellent seal and, very importantly, also helps preserve the rubber. However my preferred MOB light is the Jotron SL-300. It’s fully sealed so no danger of water ingress, yes a little more expensive but a great bit of kit. Genoa furling line lead blocks can end up with flats on them as a result of the sheave binding, with the potential of the reefing line cutting into & jamming. The result, perhaps a sail that cannot be reefed as the squall hits. Lead blocks to consider if you want to upgrade include the excellent Clear Step by Schaefer which keeps the line free from the deck. Guard rails, I positively hate plastic coated guard rails, water can sit behind the coating, and as its stagnant (no oxygen) the stainless can rust, you lean against the rail and the wire gives way! Aside from that, I always use split pins as against split rings to secure the clevis pin, so many times I have seen rings that are opened up and hanging on by a wing and a prayer. Worried about them snagging? Use self amalgamating tape or those rather nice leather chafe protectors. 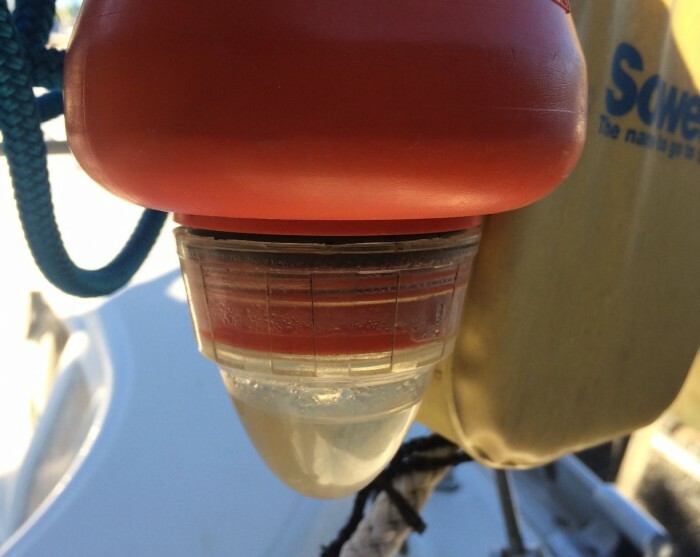 This entry was posted in Uncategorized, General Interest, Safety, Top Tips Tuesdays, Outwards & Upwards, Maintenance and tagged Lanocote, Schaefer, Jotron SL-300, MOB Lights, Lifebuoys, Clear Step, Furling Line Lead Blocks on June 10, 2014 by Rob Storrar. Tucked up in bed last Tuesday night were you? "not me" say's co director Andy Burgess. 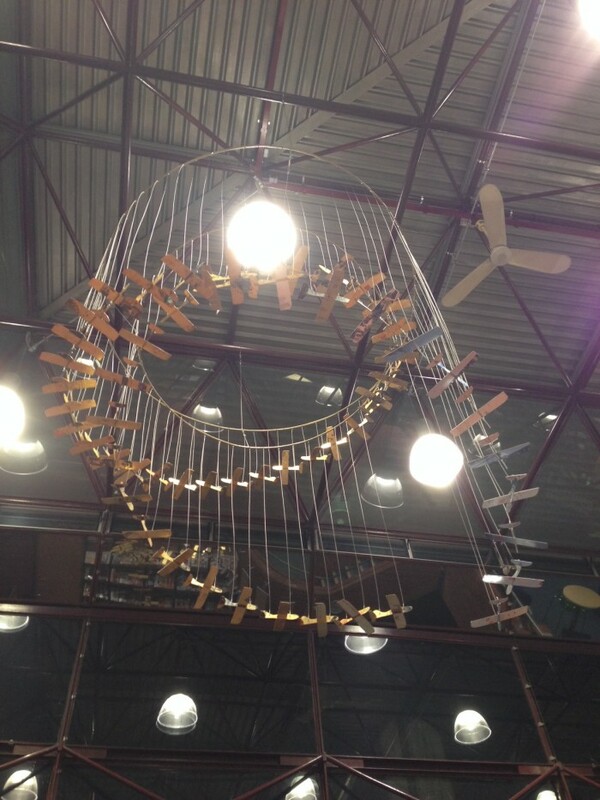 It all started in the afternoon with a drive of about 285 miles down to the Royal Borough of Windsor, his mission was to install (after closing time) in Maidenheads main library a sculpture consisting of 60 model aircraft suspended on fine 316 grade stainless wire. The aircraft were all made by local students at East Berkshire College and were constructed from foam board that was covered in gold and silver leaf that had been screen printed. The sculpture, which doesn’t have an official title, is affectionately known as ‘flying into history'. Almost 200 metres of 1.5mm wire was used to suspend the planes and over 250 splices were terminated between the hours of 7pm and 2.30am. Getting the aircraft to 'fly realistically' was quite a challenge as each plane was a slightly different shape and size and as for the center of effort of each model, the less said the better! Three hours sleep and it was back on the road to drive to EP Barrus in Oxford and collect a new 100HP Mercury outboard for a commercial customer, later that afternoon it was more rigging, this time for a large Moody, no rest for the wicked! This entry was posted in General Interest, Rigging on June 9, 2014 by Rob Storrar. 14. Top Tips Tuesday - Up Diesel Bug Creek? Here's Your Paddle - Read how Marine 16, an outboard motor fuel line and a primer bulb can save your bacon . . .
Last Autumn we were asked to change the primary and engine fuel filters on a 38 footer. This we did but on inspection of the filters it looked as though there was a trace of the dreaded diesel bug. 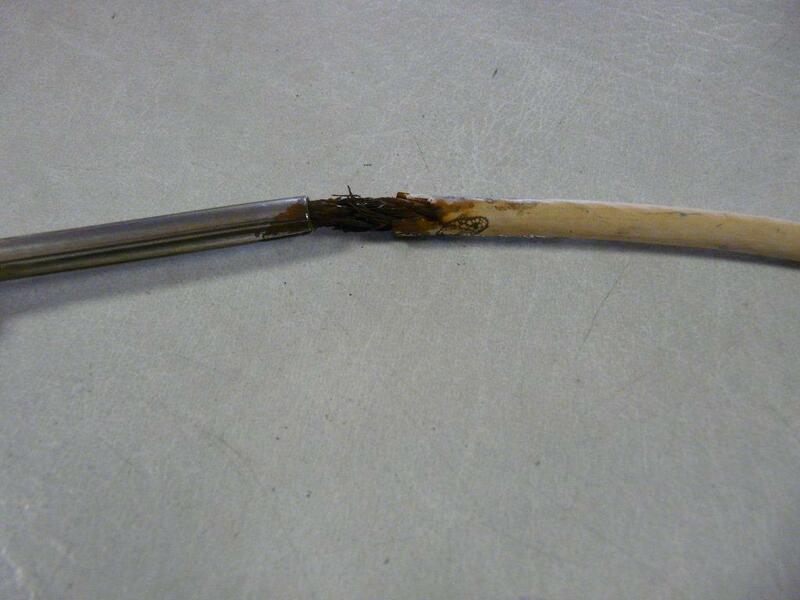 We suggested that the customer might like to drain his tank and clean it out, likewise his fuel line. He felt that this was perhaps a little drastic and instead asked us to give the fuel a shock dose of Marine 16. The other day he rang to advise us that his engine had stopped running, he had changed the filters and had been unable to get it running again, he had however noticed occasional bubbles in his pre-filter. Our engineer, on hearing this, said sounds like a partial blockage down the line. To test his theory he took down to the yacht a 12 Litre Hulk fuel tank filled with diesel and attached to it an outboard fuel line and primer bulb, he then bypassed the suspect line attached the outboard fuel line direct to the pre filter, squeezed the bulb till it went hard and turned the key, result engine fired up immediately. As a solution to get you home in an emergency, having a small portable tank and fuel line with primer bulb could be the difference between ending up safe or calling for help! This entry was posted in General Interest, Top Tips Tuesdays and tagged diesel bug, Marine 16 on June 5, 2014 by Rob Storrar. 1. One of the benefits of Grotamar 82 is that it is self dispersing therefore you can simply add the product to the fuel and leave it. 2. 70 litres of fuel would require 70ml as a Shock dose (for badly contaminated systems). As a 'preventative’ it would require 17.5ml. 3. 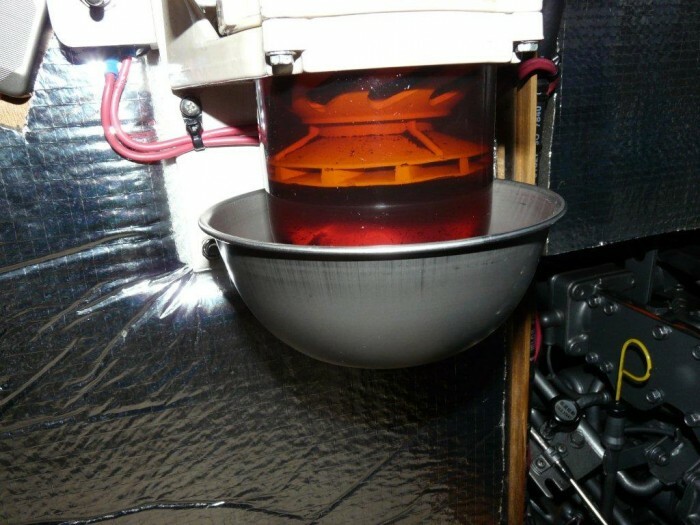 A word of caution when microbial contamination has reached an advanced stage and is already causing filter clogging issues etc. 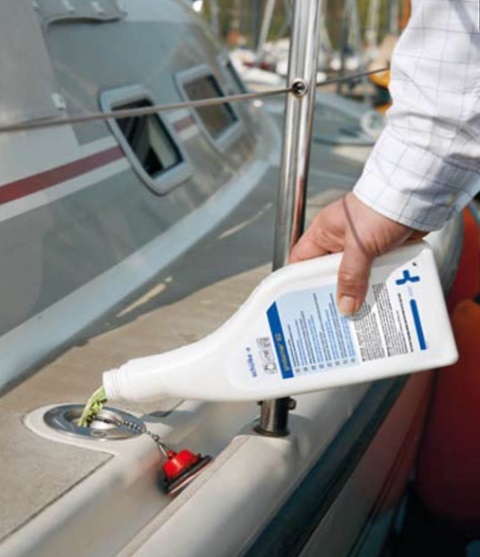 adding a biocide, Grotamar 82 included will kill the microbes and often cause them to drop off tank surfaces where they have been growing and fall into free suspension. If you have no way of draining the dregs from the bottom of the tank (after settling if possible) you can expect filter clogging to initially increase until the dead microbes are cleared from the system. Therefore in advanced cases it’s a good idea to clean the tanks out (if possible) after biocide treatment. Drop a hose to the bottom of the tank and pump fuel out until any settled sludge is removed, you might have to try fiddling the hose to reach as many locations at the bottom of the tank as possible. This can be difficult if it’s full of baffles. Sucking fuel out of the tank before biocide treatment will have little effect as the microbes tend to stick to the tank surfaces and won’t come out with the fuel until they are dead. The problem with live growth in tanks is it sits undetected causing no problems until rough weather is hit then large mats sloth off into the fuel and block fuel pipes and filters. 4. Fuel can be filtered and returned to the tanks if polishes up clean or if settling clears the fuel. You are unlikely to get all the slime out by pumping the fuel out so a second dose after treatment is a good idea, once the initial tank of fuel is used/burnt, discarded etc..